The information and materials provided on or through the Site, including any data, text, designs, graphics, images, photographs, illustrations, audio and video clips, logos, icons and links (collectively, the "Materials") are owned exclusively by Santa On Camera. Subject to your compliance with these Terms, we grant you a limited license to use the Site and Materials; provided that you may not use, reproduce, modify, display, publicly perform, distribute, create derivative works of or circumvent any technological measure that effectively controls access to the Site and/or Materials in any way including, without limitation, by manual or automatic device or process, for any purpose. Use of the Site and Materials for any purpose other than as expressly authorized in these Terms is a violation of our copyrights and other proprietary rights, and is strictly prohibited. Trademarks of Santa On Camera, its Affiliates, Service Providers and Business Partners may not be copied, imitated, or used, in whole or in part, without the prior written permission of Santa On Camera. 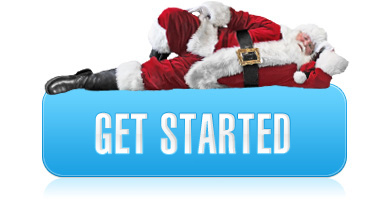 All page headers, customer graphics, button icons, and scripts are services marks and trademarks of Santa On Camera, its Affiliates, Service Providers or Business Partners, and may not be copied, imitated, or used in whole or in part, without the prior written permission of Santa On Camera. Other trademarks, registered trademarks, product names or logos, and company names or logos displayed on the Site are the property of their respective owners. You understand that Santa On Camera cannot and does not guarantee or warrant that files available for downloading from the Internet will be free of viruses, worms, Trojan horses or other code that may manifest contaminating or destructive properties. You are responsible for implementing sufficient procedures and checkpoints to satisfy your particular requirements for accuracy of data input and output, and for maintaining a means external to this site for the reconstruction of any lost data. Santa On Camera does not assume any responsibility or risk for your use of the Internet. Santa On Camera, ITS SUBSIDIARIES, AFFILIATES, LICENSORS, SERVICE PROVIDERS, CONTENT PROVIDERS, EMPLOYEES, AGENTS, OFFICERS, AND DIRECTORS WILL NOT BE LIABLE FOR ANY INCIDENTAL, DIRECT, INDIRECT, PUNITIVE, ACTUAL, CONSEQUENTIAL, SPECIAL, EXEMPLARY, OR OTHER DAMAGES, INCLUDING LOSS OF REVENUE OR INCOME, PAIN AND SUFFERING, EMOTIONAL DISTRESS, OR SIMILAR DAMAGES, EVEN IF Santa On Camera HAS BEEN ADVISED OF THE POSSIBILITY OF SUCH DAMAGES. IN NO EVENT WILL THE COLLECTIVE LIABILITY OF Santa On Camera AND ITS SUBSIDIARIES, AFFILIATES, LICENSORS, SERVICE PROVIDERS, CONTENT PROVIDERS, EMPLOYEES, AGENTS, OFFICERS, AND DIRECTORS TO ANY PARTY (REGARDLESS OF THE FORM OF ACTION, WHETHER IN CONTRACT, TORT, OR OTHERWISE) EXCEED THE GREATER OF $100 OR THE AMOUNT YOU HAVE PAID TO Santa On Camera FOR THE APPLICABLE CONTENT OR SERVICE OUT OF WHICH LIABILITY AROSE. When you place an order, we will not charge your account until you have gone through the complete checkout process. You will receive a link to the image in your email account. Because you have several opportunities to preview your 5x7 picture during the creation process, no refunds will be given once a purchase is made. Price and availability of any products or services are subject to change without notice, and our current prices can be found on our website. When you place an order with us, you agree to pay all charges incurred by you or any users of your account and credit card at the prices in effect when the order was placed. You will also be responsible for paying any taxes that are applicable to your purchase. All photos are formatted as 5x7. Photo quality depends on the quality of the camera taking the photo and, as a result, Santa On Camera is NOT responsible for the quality of your final 5X7 image. You hereby grant to Santa On Camera the royalty-free, perpetual, irrevocable, worldwide, non-exclusive right and license to use, reproduce, modify, adapt, publish, translate, create derivative works from, distribute, perform, and display all content, remarks, suggestions, ideas, graphics, or other information communicated to Santa On Camera through this site (together, the "Submission"), and to incorporate any Submission in other works in any form, media, or technology now known or later developed. Santa On Camera will not be required to treat any Submission as confidential, and may use any Submission in its business (including without limitation, for products or advertising) without incurring any liability for royalties or any other consideration of any kind, and will not incur any liability as a result of any similarities that may appear in future Santa On Camera operations. Any passwords used for this site are for individual use only. You will be responsible for the security of your password (if any). Santa On Camera will be entitled to monitor your password and, at its discretion, require you to change it. If you use a password that Santa On Camera considers insecure, Santa On Camera will be entitled to require the password to be changed and/or terminate your account. If a disputed issue is not resolved within ten (10) days, then the resolution of the dispute shall be referred to an Arbitrator chosen by the parties. If the parties are unable to resolve any dispute with the assistance of the Arbitrator within fifteen (15) days of the appointment thereof, the dispute shall be settled by arbitration. The award of the arbitration shall be final and binding upon the parties, and enforceable in any court of competent jurisdiction. The venue for any arbitration hereunder shall be Massachusetts. Nothing in this section shall defer or interfere with the entitlement of either party to obtain injunctive relief.